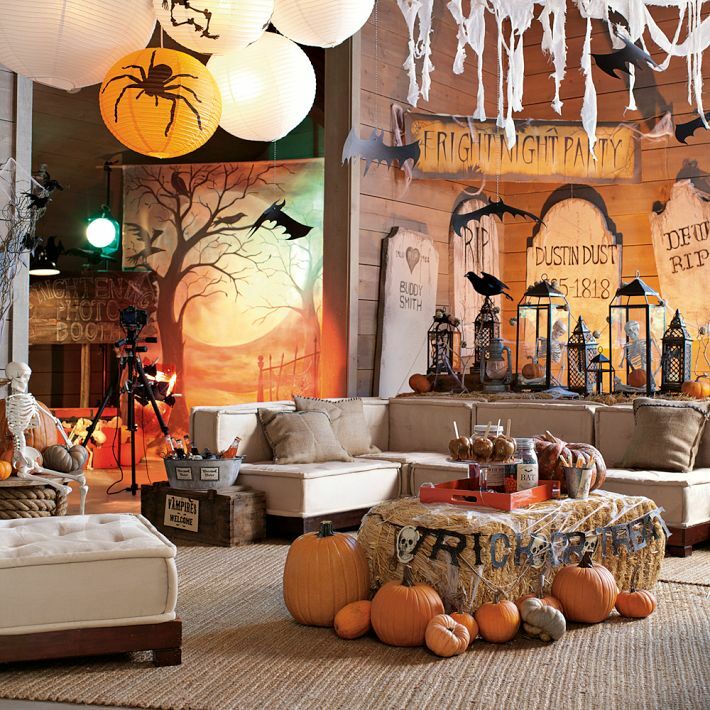 Halloween comes along and you want to go with the flow, but at the same time stand out. 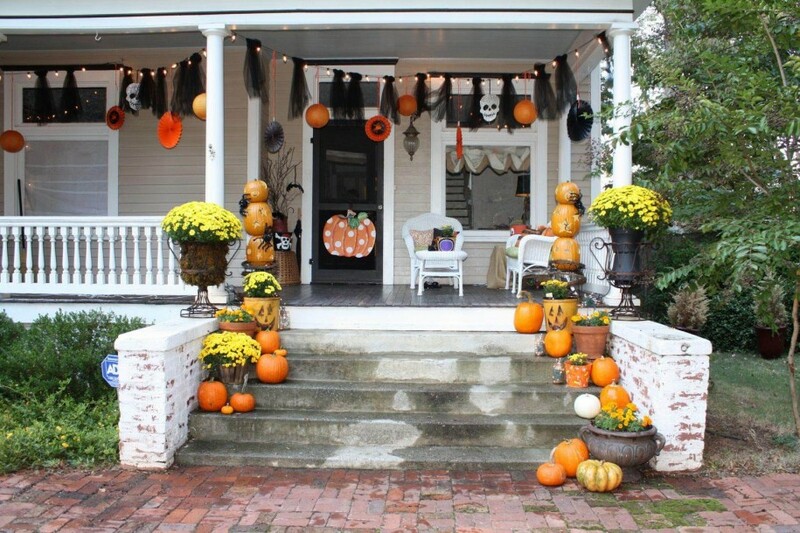 One way to do this is by decorating your house so that it lives up to the Halloween spirit. It is also a good way to get the hearts of the neighbourhood kids pounding just a little faster. 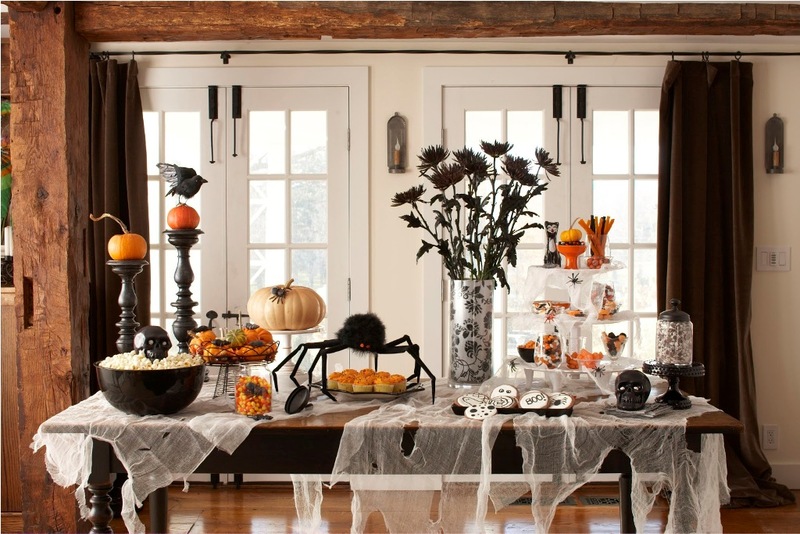 The following are some Halloween decoration ideas you can consider for your home. These are made of toilet paper rolls with scary and creepy eyes curved and decorated to your satisfaction. Put glow sticks inside the toilet paper rolls and light them up in a dark room. Anyone who walks into the room is certain to pee his/her pants in fear. Paint black circles on two large white balls so that they look like a pair of massive eyes. 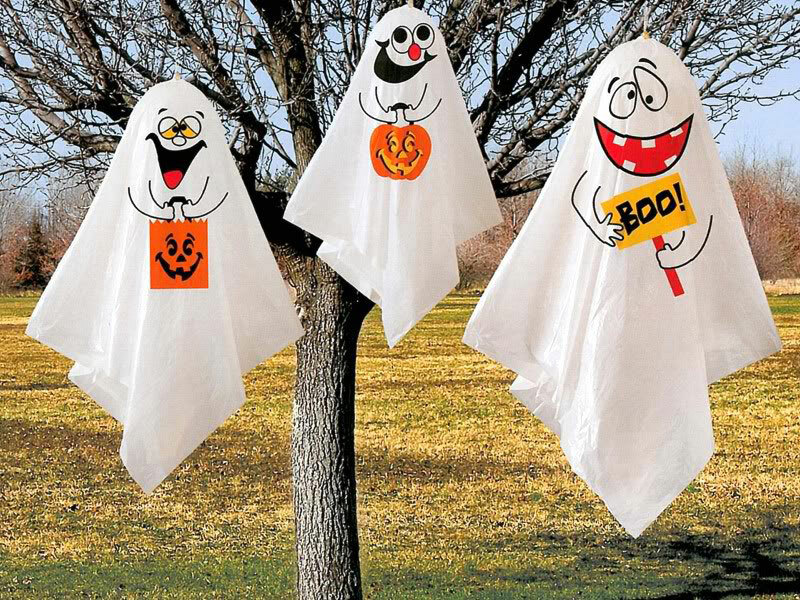 After that, put them in a tree, but not too far deep, so that they remain conspicuous. It makes for an interesting sight for passers-by. Use some red food colouring or some other source of red colour that isn’t permanent to paint your hands and touch the walls, windows, doors and mirrors of your house. It gives the impression of some gruesome events that may or may not have resulted in quite the number of fatalities. 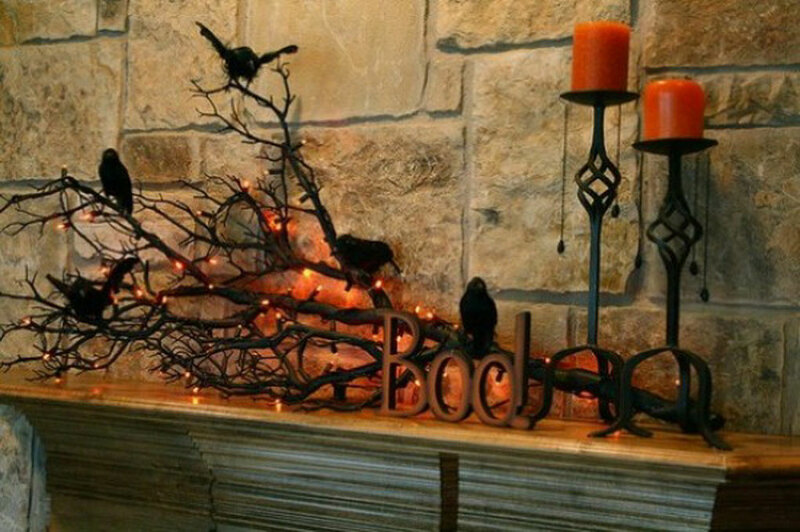 This is one of the most clichéd decorations you can think of, but it is very effective. All you need is some yarn and some craftsmanship or the internet. Spin the yarn as per instructions or as well as you know how and create some of the creepiest and freakiest spider webs you can. 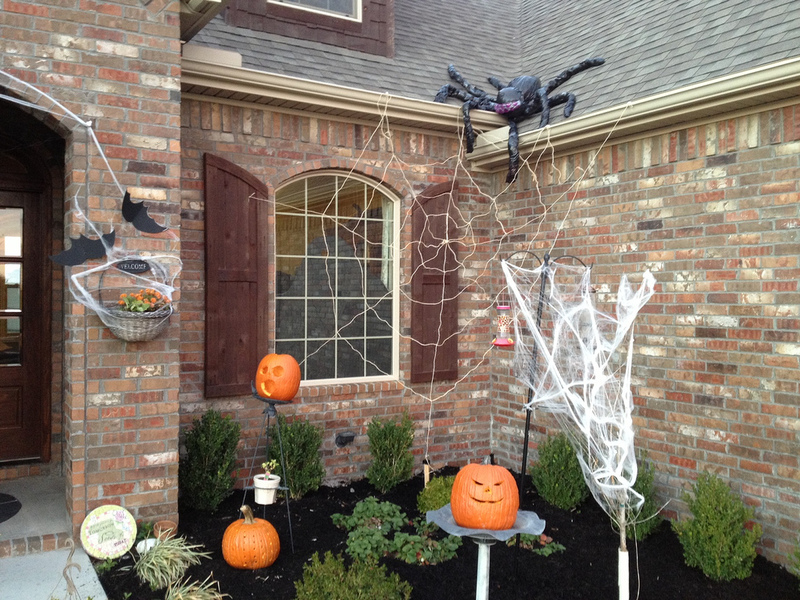 Some of us don’t see the scariness of spider webs but some do and will definitely repay you with a scream. Shadows of bats on your lampshades are a nice way to inspire some fear in all those who dare visit your now very creepy house. 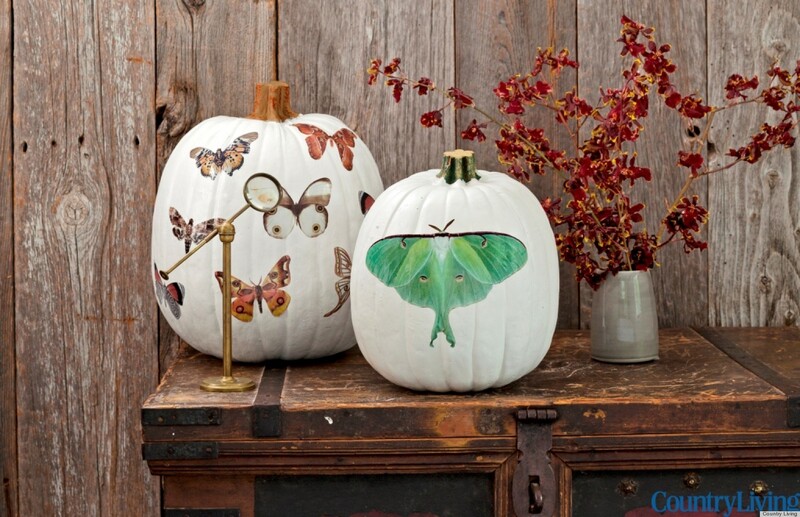 Cut out bat shapes on paper and find a way to stick them to the insides of the lampshades so that they do not damage the material. 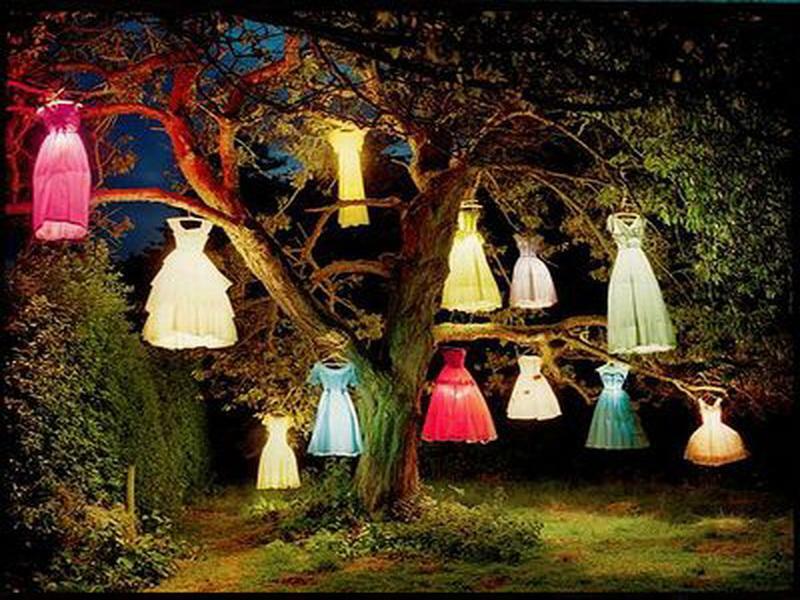 Turn on the lights and you will not be disappointed at the shadows inside your lampshades. By now your house will be filled with scares. 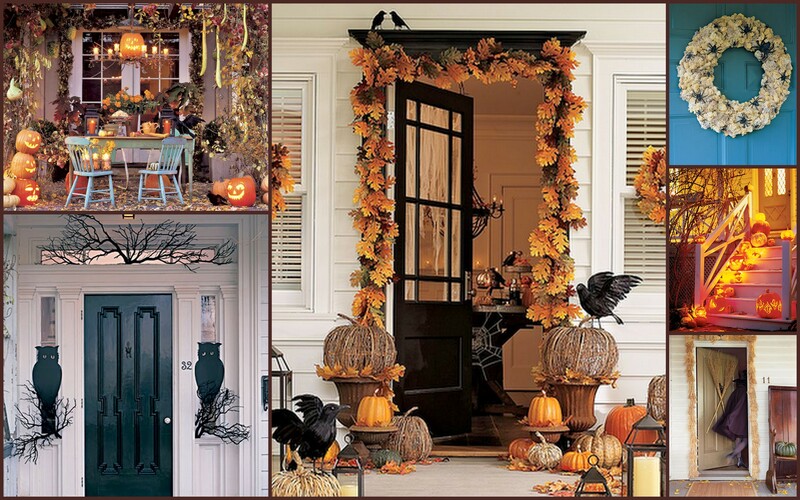 You can construct this on your archway if you have one. 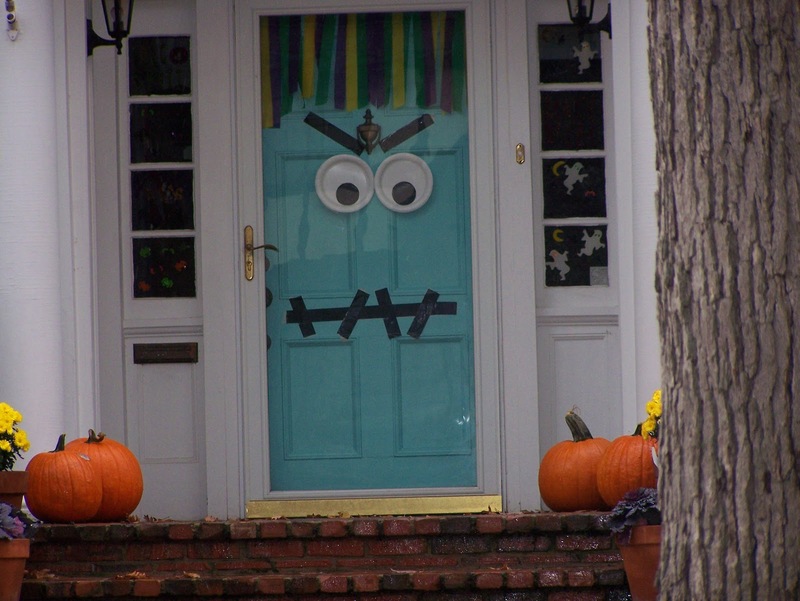 All you need is to get the kids to make the eyes and teeth out of paper and paint or markers. The only supplies you need for this are paper, paint, scissors and glue. Everything else will take care of itself. 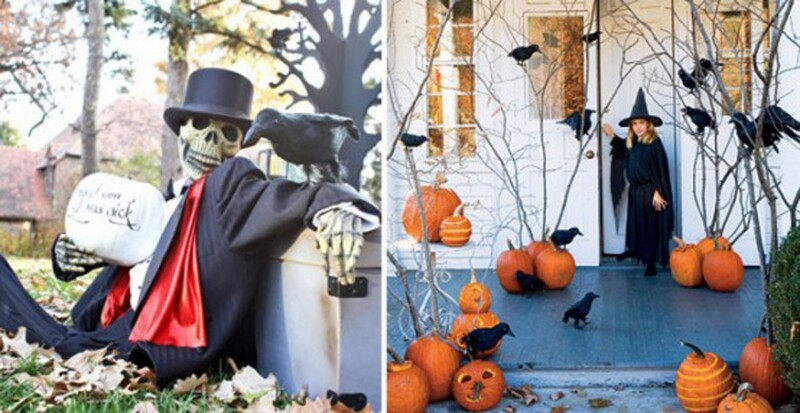 People will at least be prepared to experience the horrors of your Halloween house. Much like with the bat silhouettes, this project is simple and can elicit quite a few scares. 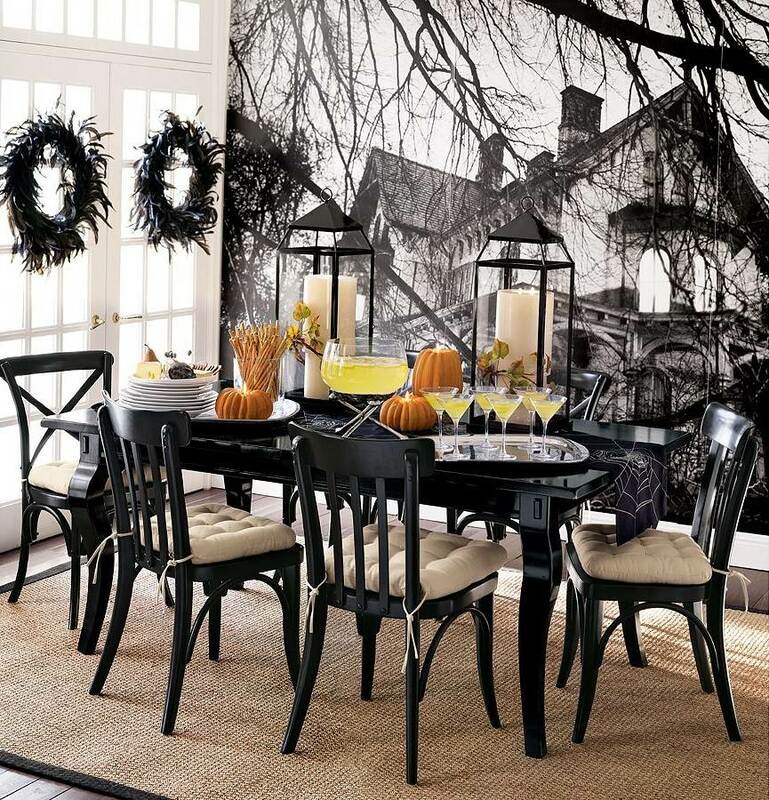 If it doesn’t, it will certainly give your lawn or your hallways a cool Halloween-y look. All you need to cut the shapes out (after painting them black) and hanging them with string off the branches of your trees or off the ceiling. 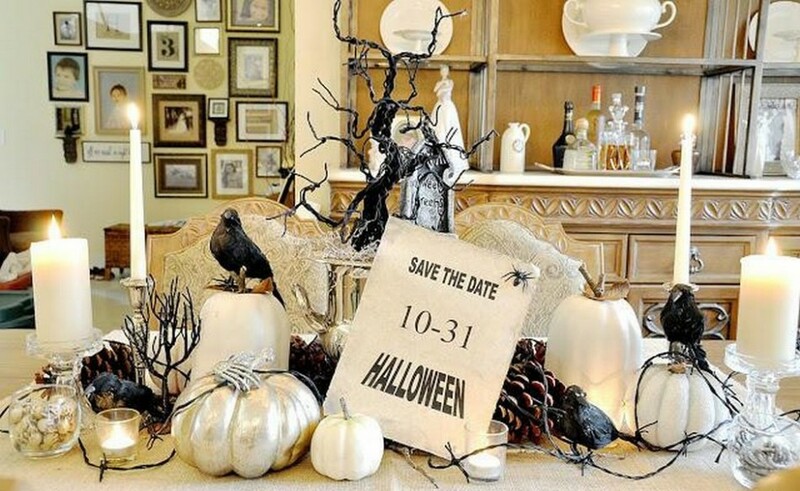 Any one or any combination of the aforementioned ideas is certain to make for some very interesting Halloween decorations. 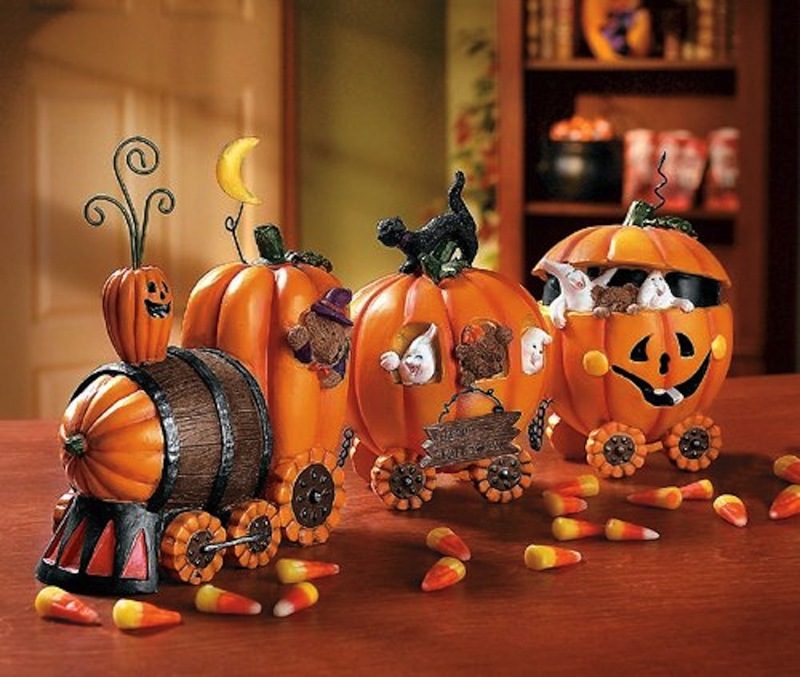 Keep them in mind when you prepare your home for the trick or treating, or for that Halloween party.